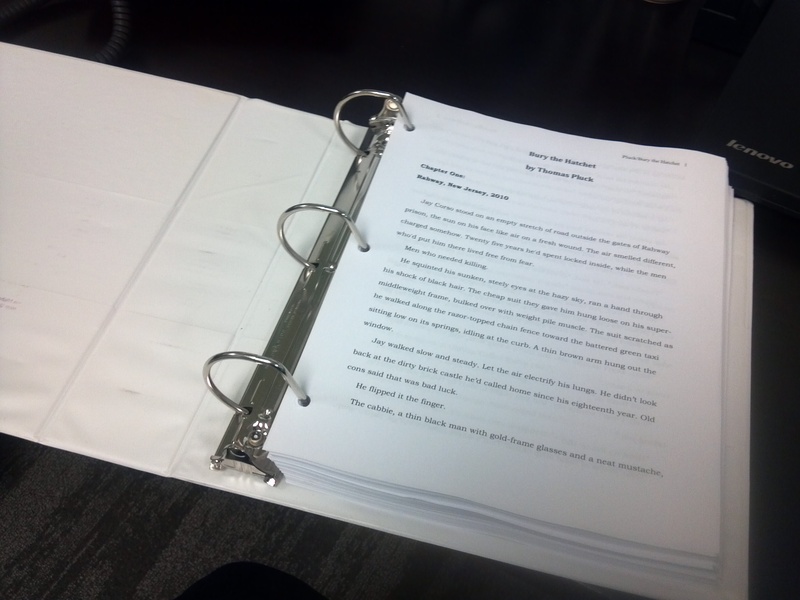 Let’s get physical: red pen vs. 534 pages. I gave myself a month off to write three stories I owed, and to let the flavors meld in the gumbo. I’m back in gear and the red pen is out, so I will be blogging less often this month while I edit and rewrite. It’s time. When I swim, and I’m underwater in the blessed silence, the story invades my head. Telling me what it needs. I’ll be busy listening to it. I have a few more obligations to take care of in the coming months. I’m giving myself until October to finish this, which is more than enough time. I think editing on paper is the way to go. I have a decent track record for copy editing, but when the laptop is closed, there are fewer distractions. This is also much longer than it needs to be, I’ll be distilling the past into brief passages. This fight will go a full ten rounds, but I don’t want a lot of clinching in the 7th. Keeping gas in the tank is the biggest obstacle I’ve found in novels, and I want to keep the punches landing. This draft is much different than the “zero draft” I wrote for NaNoWriMo last year. A different lead. A different tone. The good thing is that the fun stuff from the first version fits very well into a new project that I will begin as soon as this one’s done, about an Iraq vet and the spoiled son of a cop who inherit a bar that becomes infested with hipsters… and of course, one winds up dead. Ironically, of course. More on that later. For now, this book is all that matters. Go for it, Thomas. Everyone will be here when you emerge triumphant from your 10 rounder. I’m taking a leaf out of your book and staying away for a while. Novels don’t write themselves. My e-book is out of my system so it’s full steam ahead on the novel. Good luck, buddy! Thanks, David. I’m looking forward to your “Court” novel… get to it!! Good point about editing on hard copy. I think I will try it. It won’t work for rewriting whole paragraphs, but I am reading it in print with a red pen first, then transferring those to the electronic copy, doing the rewrites, then reprinting it and repeating the process until it would be a waste of paper.